Yesterday's news about Assault Heroes 2 was certainly a joy for Xbox One owners, but what about those poor, underappreciated PlayStation 4 gamers? Who's gonna look out for the downtrodden twin-stick enthusiasts on Sony's flagship console? Well... Sony, as it turns out, because Alienation will soon be available for free through May's PlayStation Plus lineup for all our EU readers. 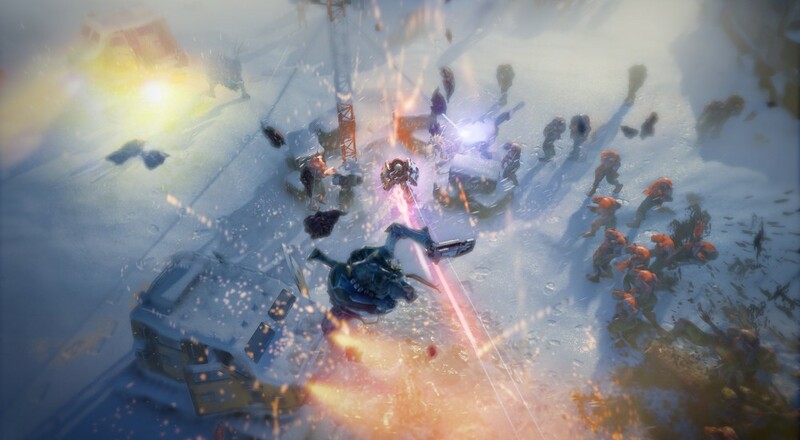 The game's four player co-op (both online and local) allows players to work their way through the entire campaign, snagging loot and annihilating aliens the whole way. If you want to see it in action, there's a glimpse of gameplay in Sony's announcement video, below. Hope you like neon. 'Round these parts, Alienation is held in quite high regard. In fact, Jason Love (aka Editor Supreme), said the game, "may well be [his] favorite twin-stick shooter" of 2016. Considering the number of co-op twin-stick shooters released per day, that's some pretty substantial praise. In case you're needing a bit more detail to get you interested in Alienation, our review can be found here. Sorry, no good co-op news for US players. We'll be getting Abzu and Tales from the Borderlands. Fine games in their own right, but sadly, not co-op. Page created in 0.3225 seconds.